Switching or choosing software can be painful. Here are the top 4 things to look for in the best association and non-profit management software. The most important factors when choosing a new software vendor? To help make the decision making process easier for you, we took some insights from a recent Capterra survey. In it, Capterra surveyed associations and non-profits to determine a) the top things to look for when picking a software solution for the first time, and b) the top things to look for when considering switching software vendors. We combined these into a single list and elaborated on how SilkStart addresses each of them. As a provider of modern software we pride ourselves on ease of use. Compared to other tools, SilkStart is a breeze for both administrators and, more importantly, for your website visitors. We can offer you a trial account and/or give you an online guided demo to show you what SilkStart can do. Plus, when you’re ready to get started, we’ll help you set everything up. 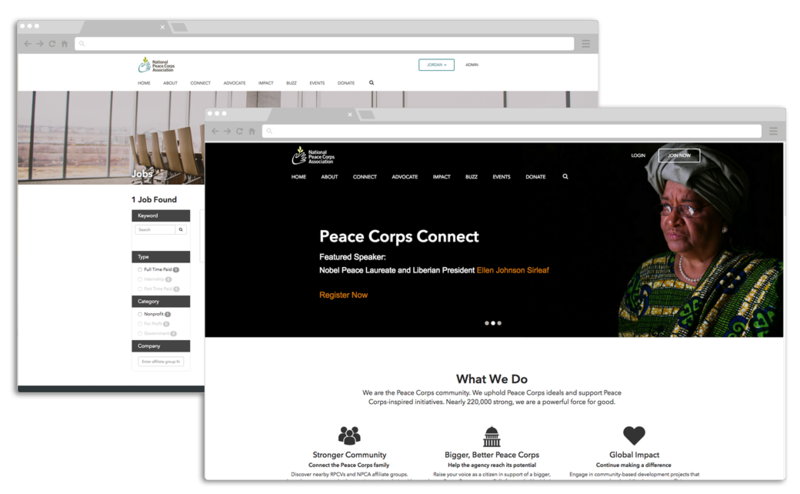 We offer one of the broadest ranges of features, including mobile friendly websites, a member interface, a job board, donations, and multi-branch. With other software these are often paid add-ons or not at all available. Plus we’re constantly building new features. While not the cheapest product in the market, we pride ourselves on offering the best value. Some customers find it hard to believe that you can get a better product at a lower price, but SilkStart uses the latest technologies to offer a full featured product with the lowest overhead. We have a dedicated customer and technical support team that knows our product inside and out, and who will get to know you and your organization. They provide prompt, friendly, and effective support to you both online and over the phone. 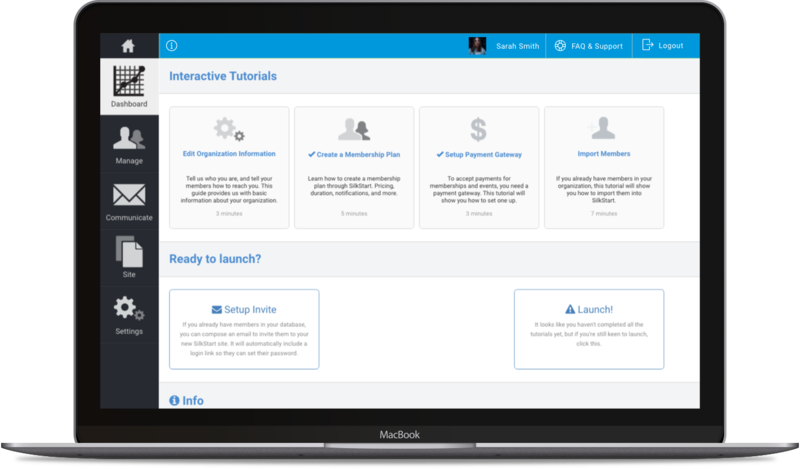 We know picking non-profit and association management software is a big decision, and we’re here to help you every step of the way, from pre-sales to on-boarding to ongoing support. 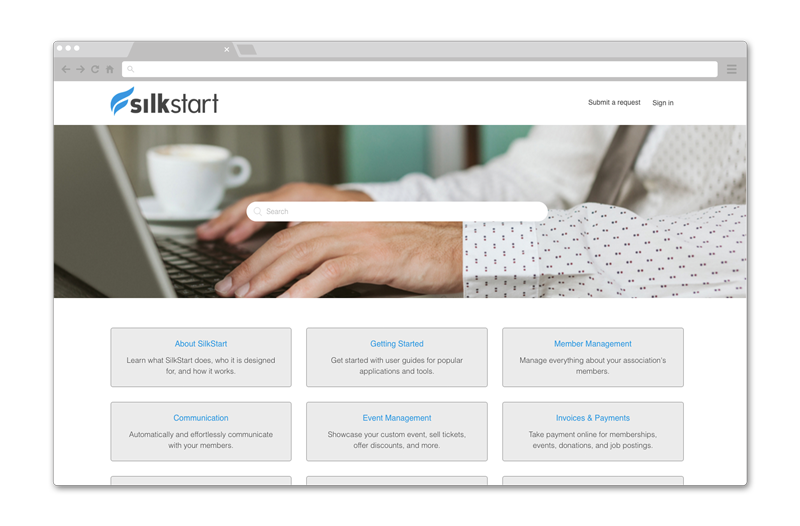 To learn more about how SilkStart can help your organization, sign up for a trial account or get in touch. A feature rich, easy to use, reasonably priced, and well supported solution is just around the corner. We've create a handy e-book to help outline what an AMS is, and how it can help you be more efficient when managing an Association.